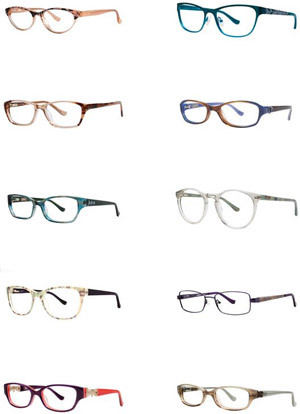 Kensie Eyeglasses combine fresh designer fashion frames styles with optimal functionality. Kensie Eyewear is a world of trends with a feminine yet raw spin and a dose of playful positive charisma. It's all about the emotion of the moment. It's about the latest Eyewear trends that make a girl feel pretty. 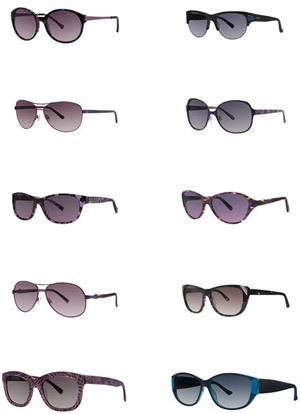 Kensie eyewear styles continue that spirit of kensie pretty. Shapes that flatter your face and pretty modern details. Pops of color and signature kensie writing are styles to suit your mood. The Kensie Eyeglasses Eyewear collection features frames that are textured and patterned with metal cut-outs, laser etchings and layering of materials. The kensie Eyewear designers take the latest trends and put a kensie spin on them, making them pretty, wearable and affordable. The women's Eyewear line is inspired by what's not in fashion trends that a modern girl really wants.